Passistas of Rio and Learn. Yesterday us students we were treated to a traditional Brazilian Samba class. The teacher was very good, (and very sassy!) starting with the basic steps, and building up to a short routine, complete with spins, twirls and head flicks! By the end we were practically ready to perform in the carnival, but unfortunately we were deemed “too good” and would embarass the other performers, so we declined. 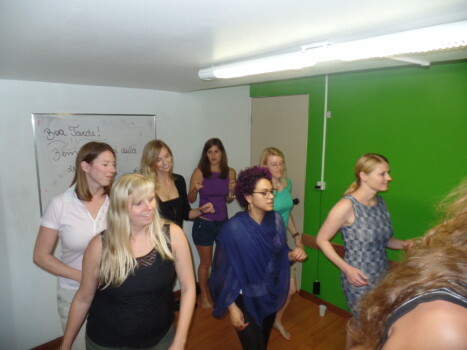 The class was really fun, and a great way to get up and moving after morning classes! In a beautiful sunny afternoon in Rio de Janeiro, we decided to gather at Rio and Learn Portuguese School to learn how to dance samba. 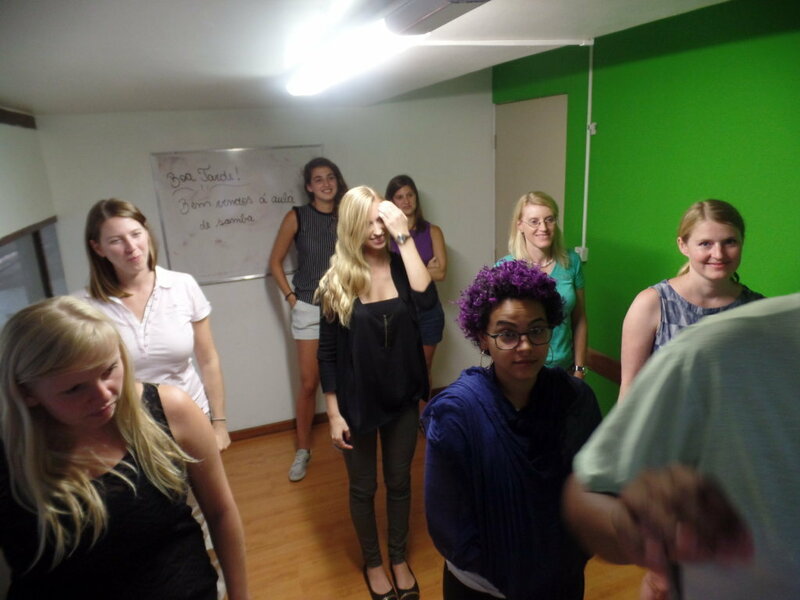 In a completely girls class, our students looked like passistas of Rio and Learn. 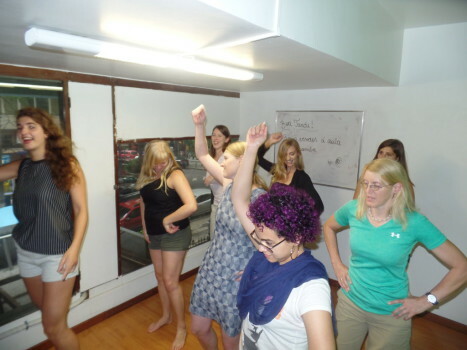 It didn’t start that easy, samba is very difficult for many people, but our students showed a lot of dedication and worked hard to learn this ryhthm. 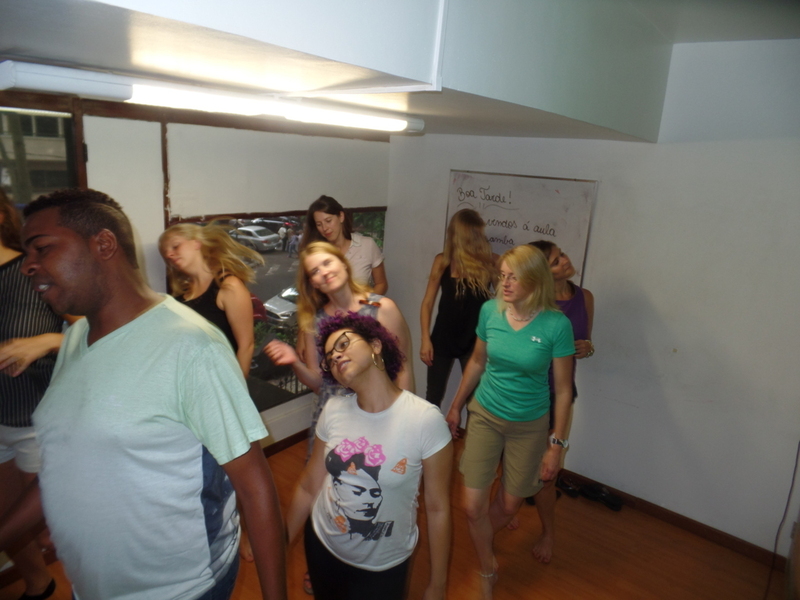 Besides their effort, all of them showed much joy and satisfaction being there learning samba. 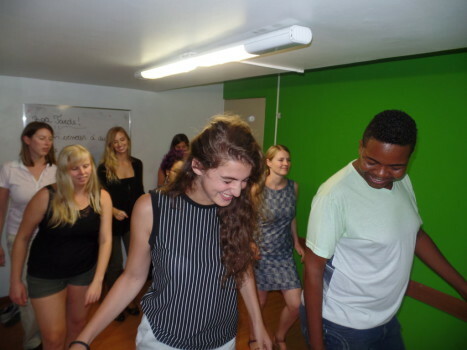 Our Portuguese students were from USA, Canada, Holland, England and Germany. The teacher, Castro, talked to them in Portuguese all the time, so they could practice the language even more. 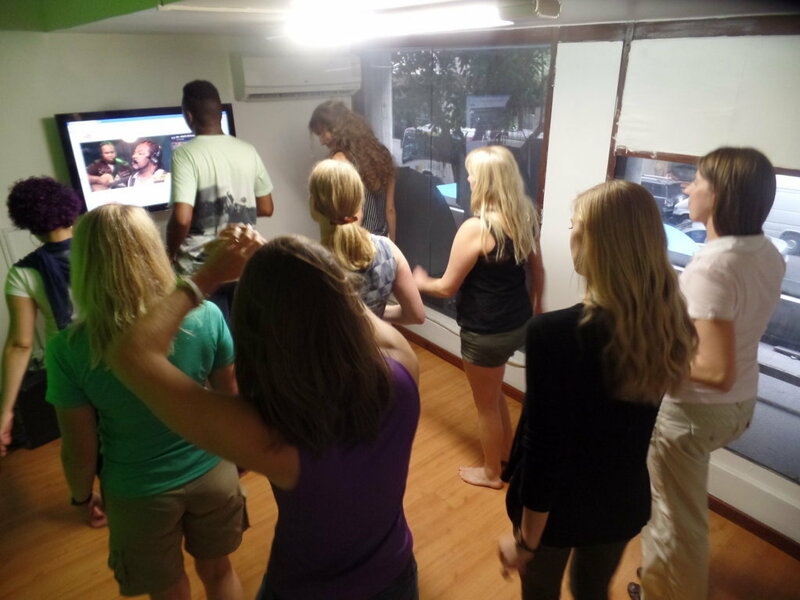 They were even able to compare what was easier, samba or Portuguese? Everybody said that Portuguese was harder. 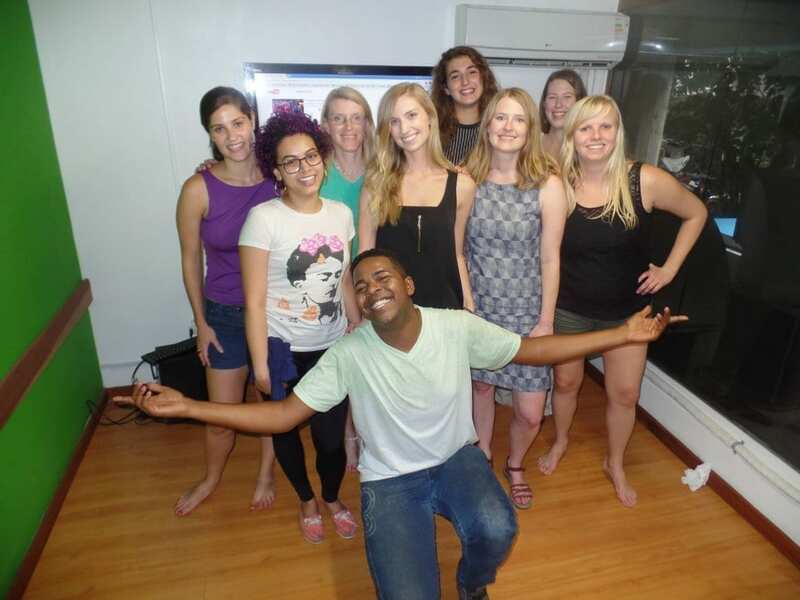 But at the end of our class, the Passistas of Rio and Learn gave a great samba show. Come you too to learn Portuguese and have fun at the same time with our RioLIVE! Activities.